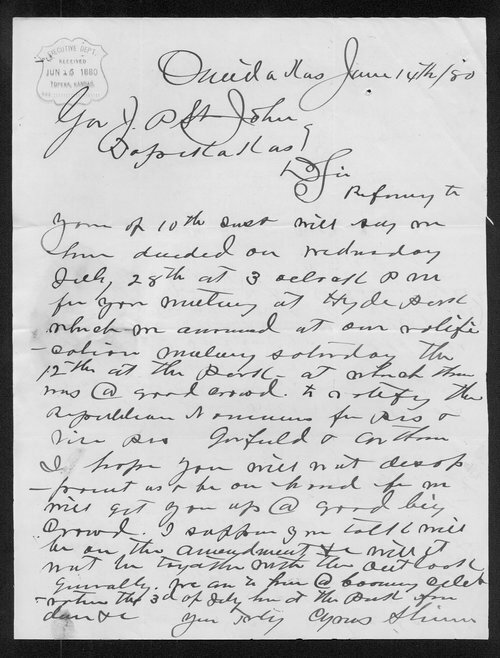 In this letter, Cyrus Shinn of Oneida, advises Kansas Governor St. John that the temperance meeting will be held July 3, at Hyde Park. He mentions notifying Republican nominees President Garfield and V.P. Arthur.